In India, undoubtedly, Cricket is a religion and there have been several demigods over the period of time since India started playing International Cricket. Adopting a sport is one thing, but then excelling at it is completely another and takes skills, guts and the determination to overpower the ones who reign on it. India and Cricket have had this relationship, where we, India, are constantly amongst one of the top Cricket teams across all the formats. Did it happen overnight? Definitely not! Did it happen because of the luck? May be! Did it happen because the people loved the game and had the merit? Oh Yes! There are high chances that you would be as big a Cricket fan as I am, a high five for that. 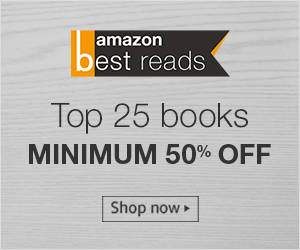 I recently read, A Tall Order, a book by author Kapil Pathare, who has, in this book, written about the ten greats of modern day Indian Cricket. A Tall Order is Kapil's second book, his first, Cricket to Corporate, was also based on Cricket and was released in the year 2014. The foreword of the book, A Tall Order, has been written by, Sanath Jayasuriya, the Sri Lankan great who has played opposite almost all the ten Indian cricketers mentioned in the book. Kapil Pathare is a seasoned professional who currently works in the leadership role of a Director with the Maxwell Industries Ltd. 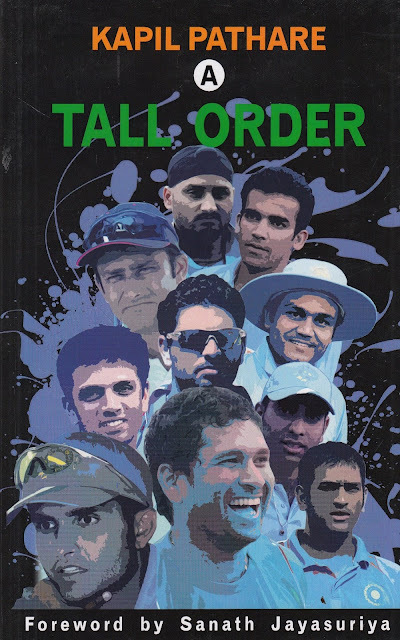 The ten Indian cricketers that the book A Tall Order talks about are Sachin Tendulkar, Anil Kumble, Sourav Ganguly, Rahul Dravid, VVS Laxman, Harbhajan Singh, Virender Sehwag, Zaheer Khan, Yuvraj Singh and MS Dhoni. So many runs and so many wickets already! Yes, you read that correct, it is about the talented ten who took not only India, but also the world by surprise by their sheer skills and talent to absorb the international pressure and achieve supremacy. Every single one of them has risen to and through various situations and victories for India first and then themselves have seen the light of the day very often. Kapil Pathare has made a good attempt at compiling the book with information about the talented ten of the Indian cricket. A Tall Order is like a brief writing about their cricketing careers, what made them enter the game, their survival, their attitude, their approach and finally how they have hugged success individually and as a team. A Tall Order also talks about their character on and off the field, what made them what they were and how they overcame their battles within and outside. Being a 90's kid, to me, the book A Tall Order was like reliving what I have already seen, read and heard about the talented ten over the years, I didn't find anything new in the book. But, this can be an ideal book for someone who doesn't know much about the talented ten or someone who has just fallen in love with the game or the generation that is in their teens. A Tall Order ends with Lessons Learnt, a section of the overall learning. The writing and narration of the 103 page book, A Tall Order, is very simple and to the point with the right emotions that one can relate to. The feeling of witnessing the Indian team win the 2011 ODI World Cup at Wankhede, Sachin Tendulkar making his debut against the then mighty Pakistan, Anil Kumble taking 10 wickets in an innings against Pakistan at the Ferozshah Kotla, the wall that Rahul Dravid created and the resilience he brought to the batting line up. A Tall Order also talks about the graceful batting style of our very own Very Very Special Laxman and the thought provoking, go-getter attitude of, whom Kapil Pathare calls Sportscrat, Sourav Ganguly. The calmness of MS Dhoni, the fearlessness of Virender Sehwag, the style of Yuvraj Singh, the perfection of Zaheer Khan and the insane turns and twists about the turbantor Harbhajan Singh.